When people think of Seattle, they often think of the well-established, household names in business, music, and art. Even after the creation of grunge some 20 years ago, Seattle is still kicking; the city has more to offer than Bill Gates, Kurt Cobain, and Chihuly. In a place that’s always looking forward, here are nine emerging contemporary artists. 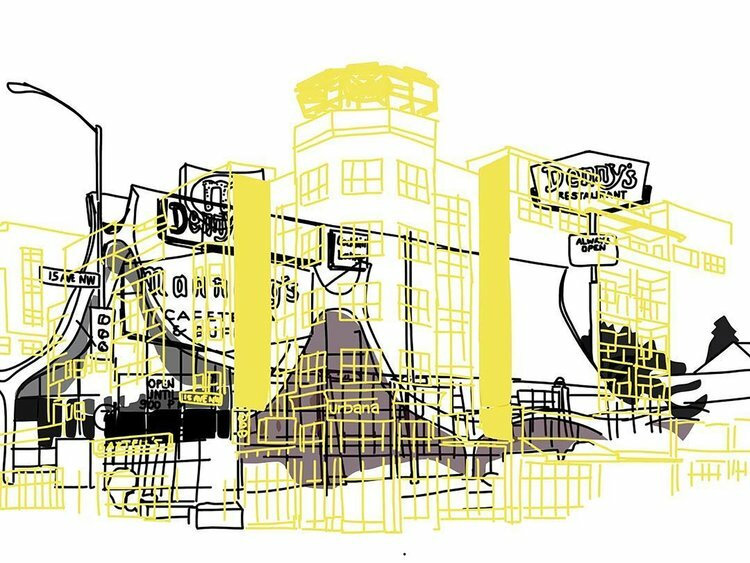 Akira Ohiso is an artist, writer, and musician who is interested in exploring the “boundaries between digital and analog media.” His current sketches, created with his finger on his iPad with help from an app, are observations of the city of Seattle. Though he intends the art to be objective for the audience to interpret as they like, he does hope to specifically promote discussion on diversity, homelessness, gentrification, and green living.